Does your room feel a little boring? 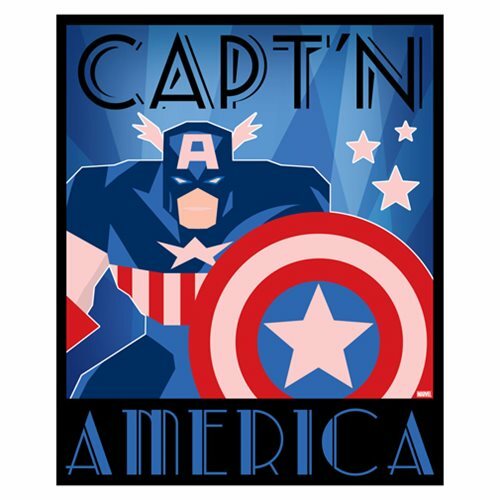 Enlist your favorite American super hero with this Captain America Decodant Blue Canvas Print. Featuring Cap in art deco style, this unique item is sure to stand out. Made by Artissimo Design, this canvas print is perfect for decorating themed rooms as well as filling out dull living spaces. This striking art piece measures 20-inches tall x 16-inches wide x 1 1/4-inches deep.